ALL 2019 ENTRIES ARE NOW OPEN! The Committee is happy to announce our 2019 Launch of the 94th Annual Eisteddfod. Saturday March 30th at noon, at the Bendigo Bank Theatre, View Street, Bendigo. Light refreshments provided. Our Annual Meet and Greet session. Monday April 8th at 7.30pm, at Bendigo South East College – Performing arts theatre, Ellis Street, Flora Hill. Bendigo South East Secondary College Performing Arts Theatre will be the major venue for most of the Competitions with Ulumbarra Theatre being the venue for the Peter Ryall Choir Competition, and also the Bendigo Bank Theatre for our Launch and the Leila Watson Memorial Music Championship. We welcome new volunteers and people interested in joining the Committee – please contact us if you can support us with your time. Welcome back for our 94th Annual Eisteddfod. We are very excited to be hosting the eisteddfod again this year. The committee have been hard at work and are happy to say that our schedule is now ready for distribution. 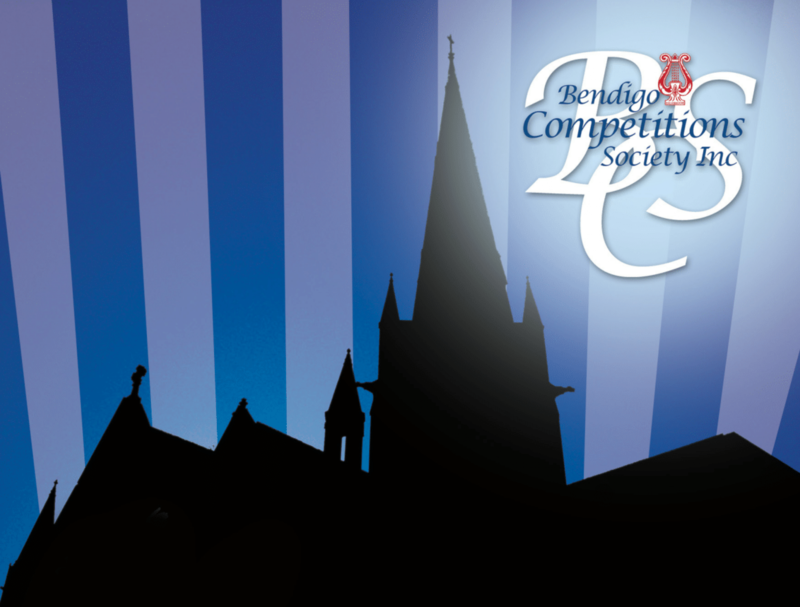 Click on the link above for dates, entry closing dates, venues and adjudicator info. Do keep an eye on the link above to Stardom for entries opening soon. All entries will be via Stardom and no late entries will be accepted so get your diary out and your entries in! Could you be our new sponsor??? Wow! What a start we have had to the 93rd Annual Eisteddfod. Bendigo South East Secondary College Auditorium, The Capital and Ulumbarra Theatres have seen some amazing performances this year. Congratulations to everyone who has performed! Music is now almost complete with only the Modern Vocal that spans the whole Queen’s Birthday weekend and the prestigious Leila Watson Memorial Music Championship to finalise what has been a highly successful music eisteddfod. We look forward to seeing many familiar faces at this event – both performing and as supportive spectators. See below for more detail! A big thank you to everyone who has entered and supported us thus far. We soon commence our fourteen days of Dance on Saturday June 30 where we run Morning, Noon and Night! The competition moves to The Capital Theatre on Sunday 8th July for the day. This day concludes with our Stage Spectacular evening. We will be sure to announce when tickets go on sale for the Stage Spectacular – tickets for this event will be purchased through the Capital. Tickets for the morning and afternoon session of Sunday 8th July can be purchased upstairs in the foyer of the Capital on the day. All other dance events will be held at Bendigo South East College; tickets at the door. As we keep saying, we could not continue to offer young performers this performance opportunity without the support and dedication of our volunteers! From those who have done one session, helped pack up or been there multiple days and sessions we sincerely THANK YOU and hope to see you during dance! Of course we would love to welcome new volunteers on to our team – please contact us if you can assist. As a way of thanking our volunteers, all volunteers are invited to attend both the Leila Watson Memorial Music Championship and the Foundry Dancing Championship.